The Middletown Insider: Cornell Lab of Ornithology - The Biggest Birding Event of the Year! Cornell Lab of Ornithology - The Biggest Birding Event of the Year! The biggest birding event of the year is almost here — BIG DAY 2017! Big Day is a 24-hour, midnight-to-midnight birding blitz — and the Cornell Lab’s most important conservation science fundraiser of the year. Every year, the Cornell Lab of Ornithology sends a team of experts to identify as many bird species as possible in a 24-hour period to help raise awareness around bird conservation and raise funds to advance conservation science and research efforts at the Cornell Lab. On May 13, 2017, the Lab’s birding Dream Team, the Sapsuckers, will reach for an audacious goal: finding 300 bird species in just 24 hours - and raising $475,000. Can they do it?!? 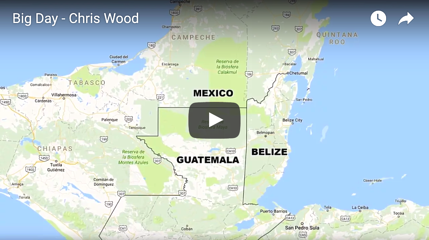 For the first time in its 34-year history, Team Sapsucker will travel to the Yucatán Peninsula, a destination so rich in birdlife that they will divide into three teams to cover it all. The Sapsuckers’ Team Belize, Team Guatemala, and Team Mexico will join forces with local birders in a quest to find the most bird species and raise funds for conservation. Watch this video of Team Captain, Chris Wood, as he explains the importance of Big Day and how you can participate. I hope you will join us on our birding adventure!